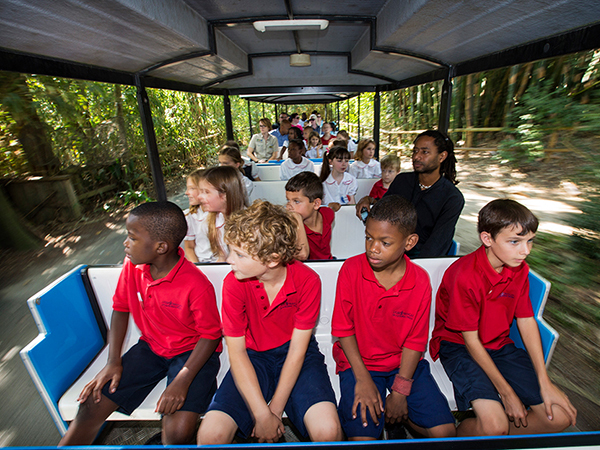 Take a scenic ride and see the Zoo from the seated comfort of the Swamp Train! This narrated journey takes you behind the scenes of the South American Pampas, loops in front of the popular Louisiana Swamp exhibit and then weaves its way around the sea lion pool and reptile house. The train is handicap accessible and departs every 30 minutes from the Carousel train depot and the Louisiana Swamp Exhibit.